Edutel academy info I have attempted all three attempts in AIPMT/NEET in the year 2015, 2016, 2017. Now am I eligible for NEET 2018 examination or not? As per the order of Ministry of Health and Family Welfare, Govt. of India, number of attempts has been removed. Edutel academy neet info Cap on number of attempts for NEET removed Last year, CBSE had placed a cap of maximum three attempts for NEET examination. For computational purposes, NEET 2017 examination was to be considered as the first attempt. However, with the implementation of the upper age limit, there is now no clause regarding the cap on the number of attempts. In effect, the number of attempts for NEET 2018 has now increased to about 8 (with 17 years as lower age limit and 25 years as upper age limit). The number of attempts for reserved category accordingly is about 13. This, however, is subject to the candidates' age at the time of the examination. All students planning to apply for NEET 2018 are advised to carefully go through the information bulletin before filling the online application form. While CBSE would allow candidates to make a few corrections, there are a few details that cannot be changed. Also, candidates can apply for NEET 2018 only once. The online application forms for NEET 2018 close on March 9, 2018. Edutel academy coducted career workshop for 12th std students.... Venue:Anna nagar/Ashok nagar/Egmore/Tambaram/Coimbatore Program:Every sunday Timing: 10am to 5pm. 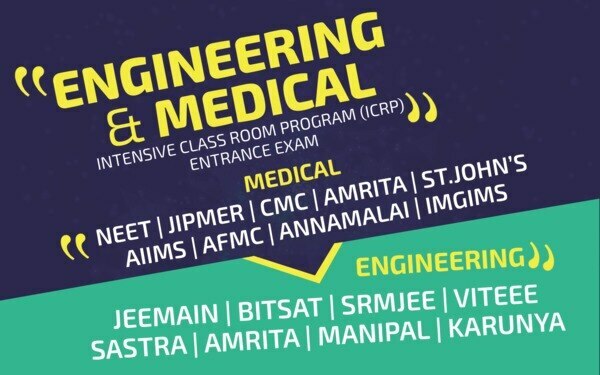 Edutel academy jipmer updates JIPMER MBBS 2018: Online Registration To Begin Early, Check Details JIPMER MBBS Online Registration: 7 March 2018 to 13 April 2018 Entrance Exam: 3 June 2018 First Counselling: 27-29 June 2018 Second Counselling: 25 July 2018 Third Counselling: 20 August 2018 Final counselling: 28 September 2018 Date of closing of admission: 30 September 2018 Last time, the exam was held on 4 June 2017 and the hall tickets for the same were released a week before. JIPMER Director Dr S C Parija told PTI that as many as repeat 1, 89, 663 candidates have applied for admission and the entrance test would be held at 339 centres across 75 cities in the country. The entrance examination was held for a total of 200 seats; 150 out of which are at JIPMER Puducherry and the rest at JIPMER Karaikal.